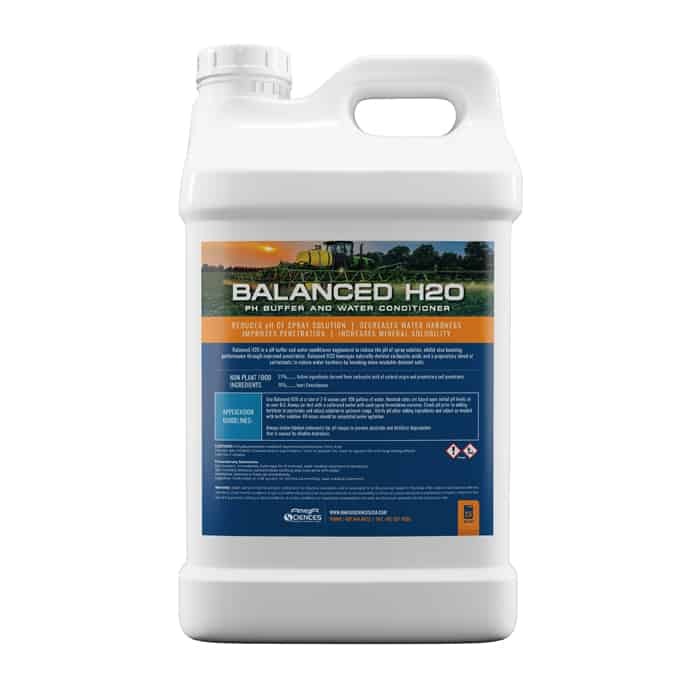 Balanced H2O is a pH buffer and water conditioner engineered to reduce the pH of spray solution, whilst also boosting performance through improved penetration. 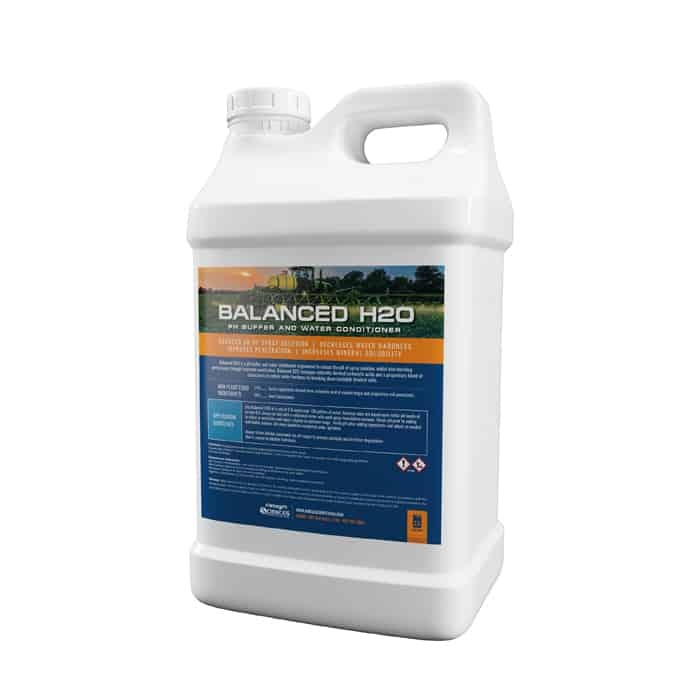 Balanced H2O leverages naturally-derived carboxylic acids and a proprietary blend of surfactants to reduce water hardness by breaking down insoluble divalent salts. Use Balanced H2O at a rate of 2-6 ounces per 100 gallons of water. Nominal rates are based upon initial pH levels at or near 8.0. Always jar test with a calibrated meter with each spray formulation variance. Check pH prior to adding fertilizer or pesticides and adjust solution to optimum range . Verify pH after adding ingredients and adjust as needed with buffer solution. All mixes should be completed under agitation. Always follow labeled statements for pH ranges to prevent pesticide and fertilizer degradation that is caused by alkaline hydrolysis.